Well, if you pursue some of the ideas that I heard, I would interpret that as gambling, but more on that later. And take a moment now to open your Twitter account – I have linked as many of these folks with their Twitter handles as I can throughout this review. While you’re at it, follow me @kevinfrye1 if you are brave enough. 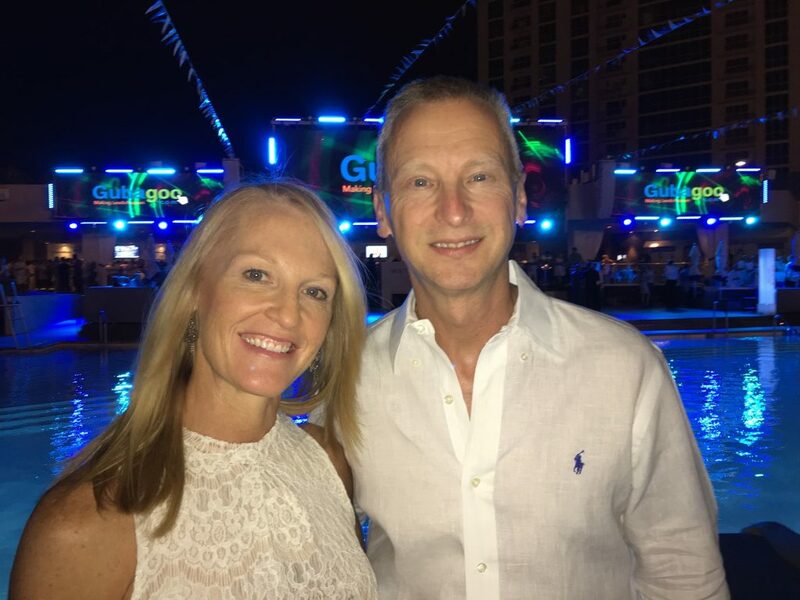 My lovely wife Julie and I arrived early on Saturday to enjoy Las Vegas entertainment and hospitality while celebrating our 25th Anniversary. We enjoyed a great meal and a Cirque de Soleil show that evening, and took advantage of the spa facilities at the MGM on Sunday morning. We did spend some time at the pool as well, and I must share I felt like it was MTV Spring Break in Panama City as the pool was packed. 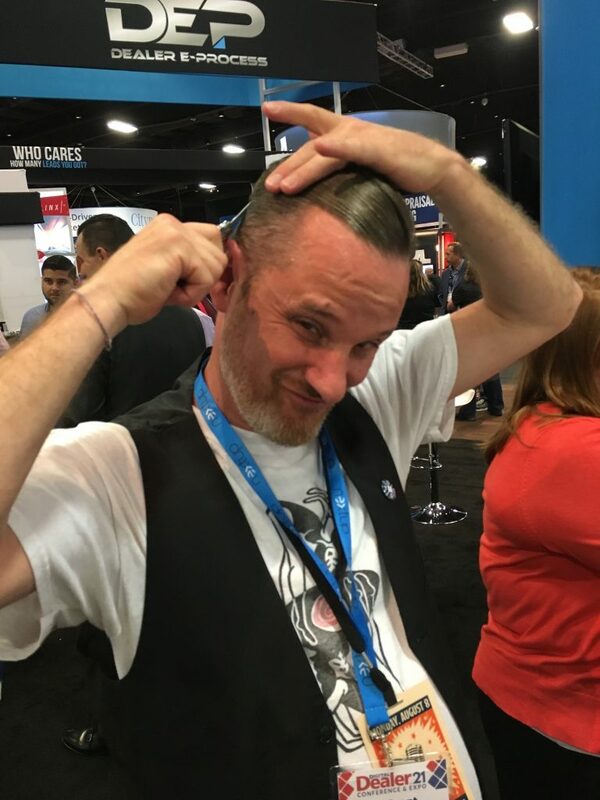 If you have not figured it out yet – ALWAYS take advantage of picking up your conference badge early on the day before the conference. Thank you Digital Dealer for offering this. It never fails that the morning the conference begins there are long lines of folks trying to get their badges. If you were groggy when you awoke on Monday morning, I promise you were awake after the mile long walk to the conference facilities. 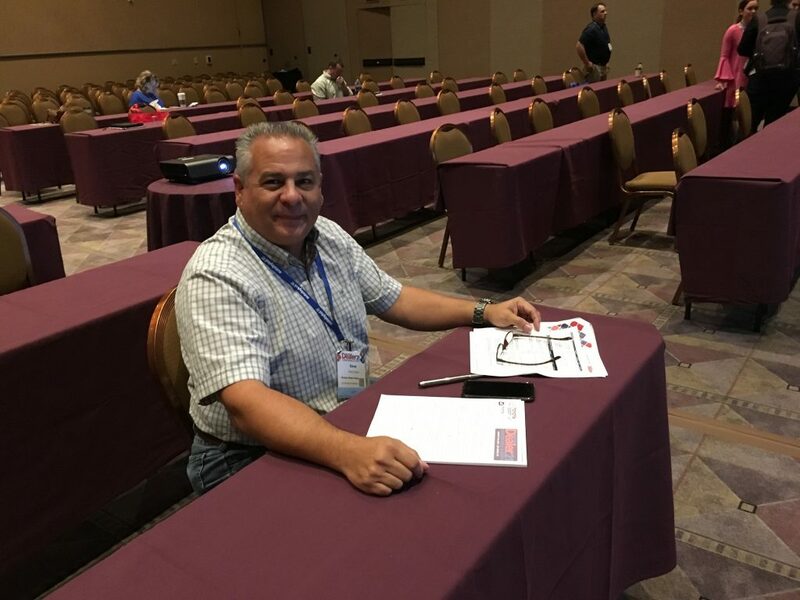 Take a look at how many steps Arnold Tijerina recorded each day at DD21 – I believe it! Are you “paschionate” about education for auto dealers? 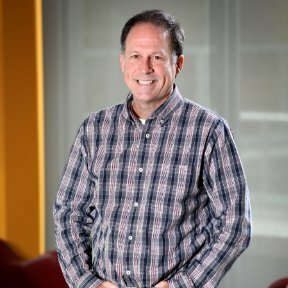 Brian Pasch certainly is – and he has had my respect for a long time as one of our industry leaders. 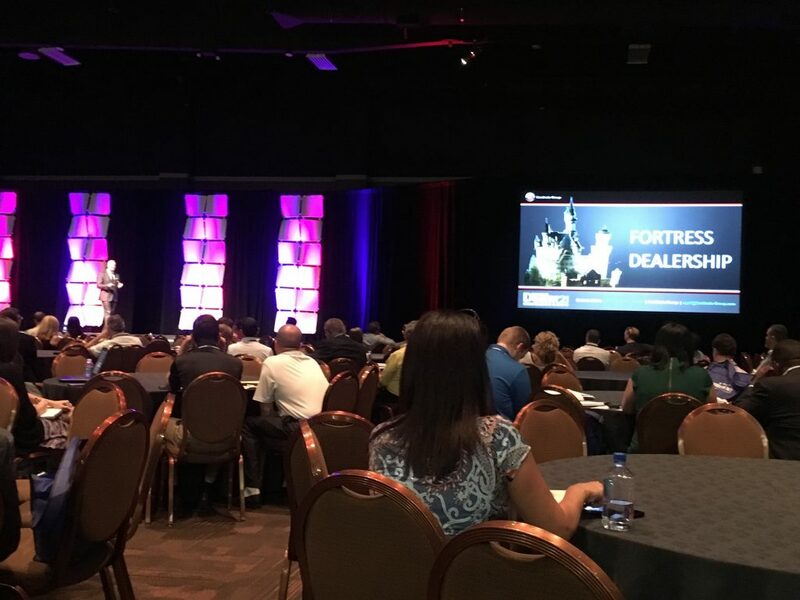 This was a great session to start off with as Brian shared how using machine learning predictability models is key to the dealers’ future success. I agree – and we have been testing some solutions with fair to poor results. Why? This is new technology to our industry and I think it is still being refined to work well, be timely, and most important be actionable in a simple manner to our dealerships. In a modern market where it can be difficult to get our shoppers to identify themselves with a phone call or form submission, using buyer detection technology can give you a competitive advantage by identifying those shoppers who are in the market, and allowing you to market to them. We’es all going to see Brent Wees, how about you? Canada continues to antagonize us with the antics of Brent Wees and his session “Quiet is the New Loud”. Brent nailed it with a brilliant demonstration on how we as dealers are making so much effort to drive traffic to our websites, and then we fail to best work those opportunities. One brave dealer stood upfront while he was pelted with “lost opportunities” from every direction. There is great truth in this analogy as we as dealers are constantly spending money to drive more traffic to our dealerships, but would it make sense to better work the incoming traffic we already receive? The answer is YES! 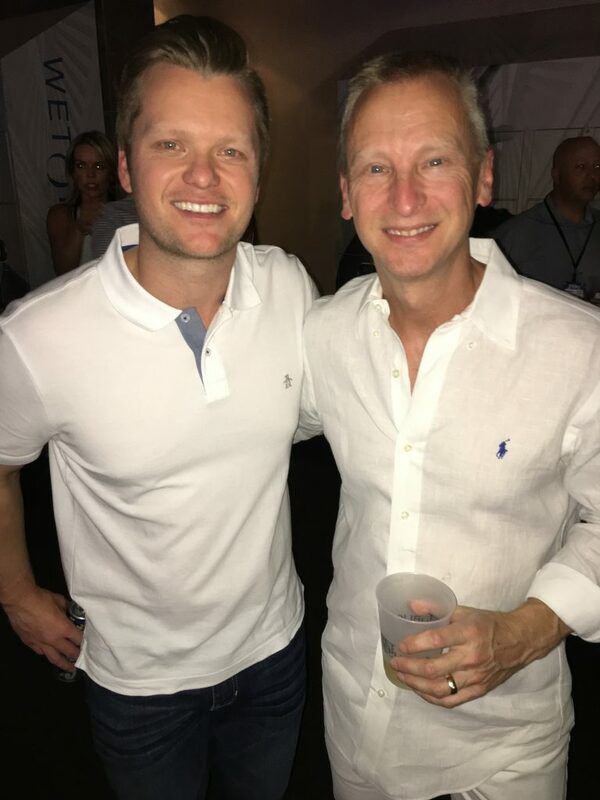 Speaking of Brent Wees – I not only consider him one of the great leaders of positive change in our industry, I also consider him to be a greater person and I am humbled to call him friend. If we pack any more C4 in here, this place is going to explode! 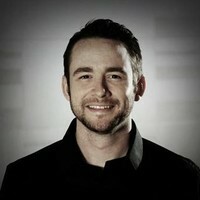 Justin shared a great question – “What slows down your growth? Doing the same thing as everyone else…” then he offered some great tips on how to differentiate your dealership with your marketing. A few points caught my attention. Are you getting beat consistently by another dealer in your market? Take a close look at the individual models that they are selling, eg. if they are selling a lot of Nissan Altimas each month, but you have few in inventory, how can you compete with them? Using this same situation of a competitor consistently beating you, have you ever went to your Tier 2 OEM site and submitted some test leads from different addresses? Are you not getting leads from zip codes that should belong to you that are instead going to your competitor? One point shared was to bid against Tier 1 and Tier 2 with your SEM spend to get the first and second positions. Hmmm, are we able to compete with the SEM budgets of Tier 1 and 2? Where does this magical money come from to do this? Overall lots of great info here, even if I disagreed with some. 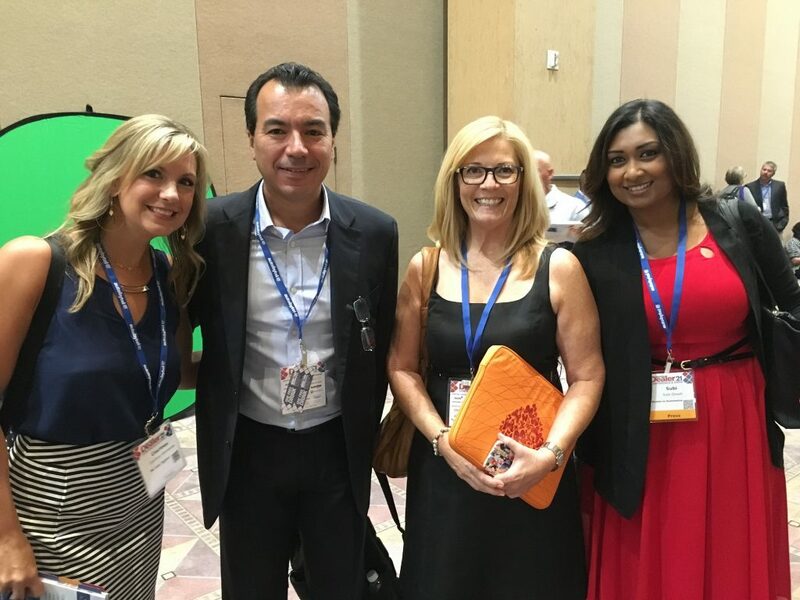 Courtney Hennessey, Igor Kalassa, Kathi Kruse & Subi Ghosh learning at DD21. 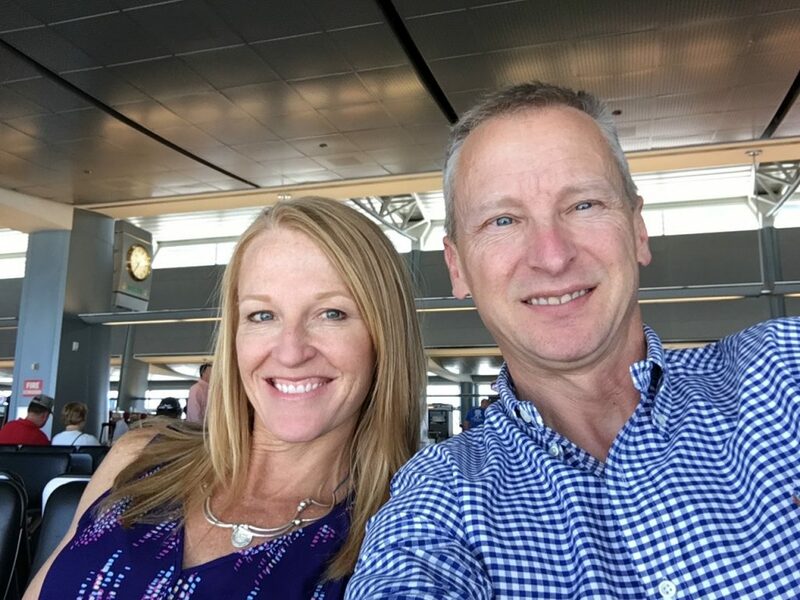 Courtney & Pat Hennessey’s “Be Less Typical” Podcast is a Must Subscribe! 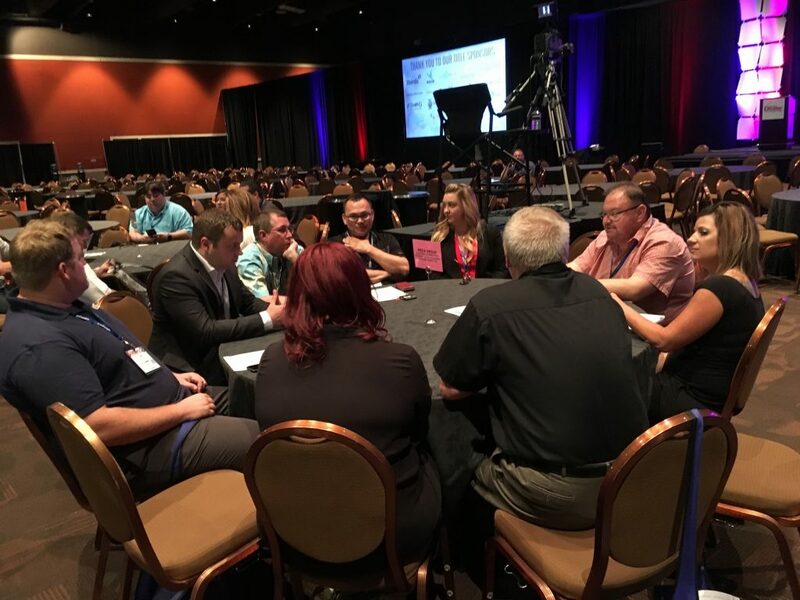 This was a different direction for me with my sessions in the past, but it dealt directly with a concern I have with many of our dealers today. In our quest to implement the latest and greatest ideas and solutions for automotive, we are often failing to use common sense. The reality is that GREAT business decisions are based not only with facts and data, they are also grounded in solid common sense. The answer is yes! 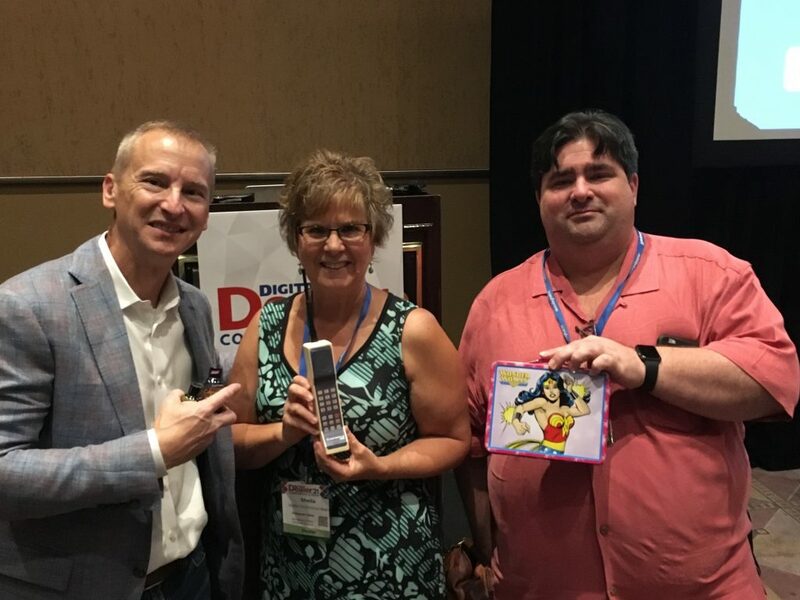 I excited many dealers a few conferences back when I showed how they could build attribution models and see for themselves how they could track a return for their social media efforts. While it is great that we can use leading strategies to accomplish this, isn’t it common sense that social media can help you sell more cars? There is a timeless principle with selling, and that is building and maintaining relationships. With today’s modern social media channels and understanding that 78% of Americans have a social media profile, only a fool would fail to understand that you can build and maintain relationships with social media which help you sell cars. 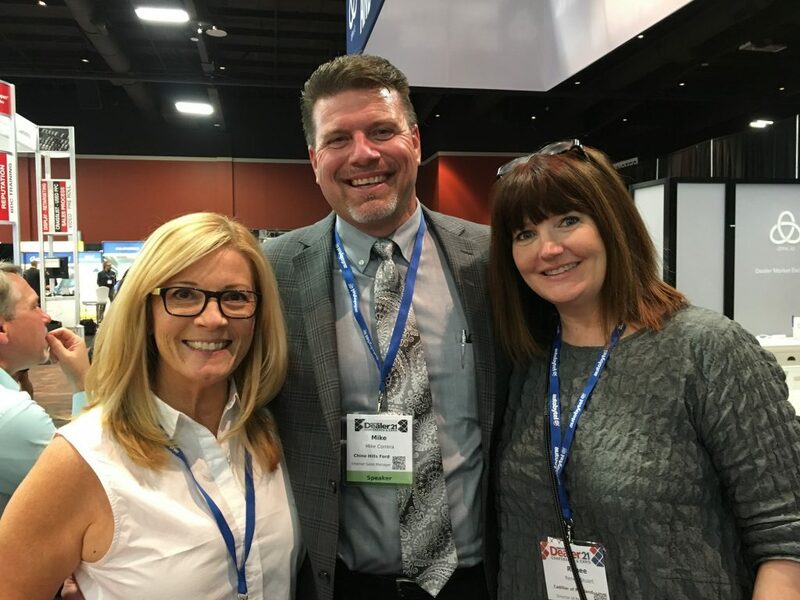 Kathi Kruse, Mike Correra, and Renee Stuart – trio of talent! If I may – many of our social media leaders have been questioned and ridiculed in past years with their efforts to educate and encourage dealers on how to use social media. May I share my admiration and respect for some of our early social media pioneers to include Kathi Kruse, Kate Frost, Joey Little, and many others. Thank you for being patient with us as dealers – and I encourage you to continue your efforts to lead and educate in this area. I addressed several key areas of debate in my session, to include “BDC or Cradle to Grave.” The real question is not do we need a BDC?, it is do we need a BDC because we cannot get our people to do what they need to do, which is make phone calls and send great emails. How do you get people to do what they need to do to be successful? It’s called LEADERSHIP and our industry is suffering a lack of leadership during this key time of transition for automotive. With my military background, leadership was a key fundamental that we were taught and expected to display. Why? Let’s go back to common sense – who in their right mind wants to risk their life? If you can get people to risk their life to accomplish a mission, I think you have an idea of how leadership can get people through a difficult challenge. Leadership in today’s market will focus on building relationships with our customers with great phone skills before, during, and after the sale. Always some original give-aways during my session – does John Woodman travel the farthest with his dealership in Hawaii? Of course we could argue about this endlessly, but let me share the reason why I am so passionate about this. The biggest threat our industry faces at this time is the de-personalization of how we sell cars with “advanced” ideas of how to sell online. We as dealers need to be very cautious about how we implement concepts such as BDC or online sales transaction tools. Ask yourself, are you removing or diminishing the relationship aspect of selling when you implement the latest and greatest strategy or tool into your dealership? Do you want to transition how we sell cars into a commodity based model where it is difficult if not impossible to build value into the transaction? In past years we have watched our average markup drop from 3.5% to 2.4% with sales transactions. How much further do we drop in our efforts to have the “optimal” digital presence? Are we failing to use COMMON SENSE in what we are pursuing today? The theme throughout my session was the importance of RELATIONSHIPS in today’s market. 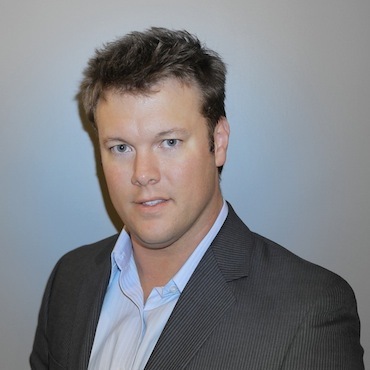 Your greatest challenge is to personalize the car buying experience in today’s digital market. Using the phone is key (funny how that is another TIMELESS skill that sales professionals need to develop and nurture to build and maintain relationships), while also taking advantage of tools like video and social media to personalize yourself behind an impersonal Internet. Um, it has worked since the stone ages folks – the basis of any sales training course is “If I can get you to like me and trust me you will buy from me…” And why is it suddenly so difficult to teach people how to be great on the phone when our industry has done it for decades in the past? 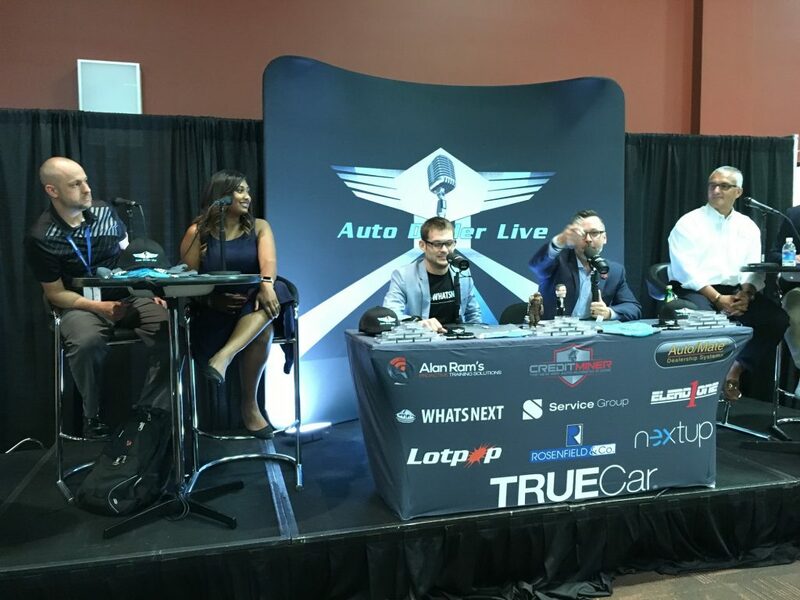 Matt Raymond and Subi Ghosh join David Villa with AutoDealer Live – great to see you onstage Matt! Thank you, thank you very much – Elvis Presley, Hilton International in Las Vegas, 1971 Well, I didn’t say this as early as Elvis did, but thank you Digital Dealer for inserting dedicated time slots during the conference for “Innovative Products & Service Demonstrations”, aka “Exhibit Hall”. If you look at my previous reviews, I have asked for this on behalf of dealers. Why? 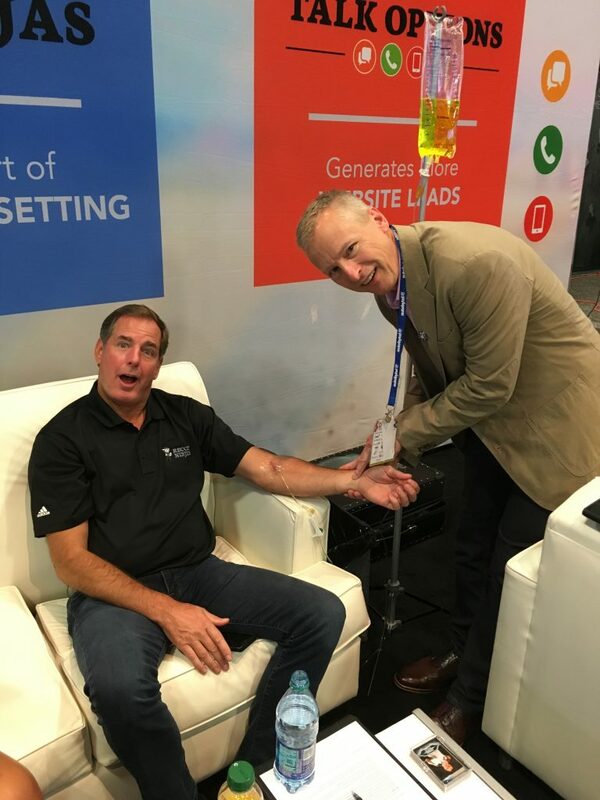 The most important thing you can do at Digital Dealer is to build relationships with fellow dealers AND your vendor partners. Secret agent? Or agent of positive change? Eric posed a politically incorrect question to the audience with – Do you have the courage to start at start? Meaning – do you have the humility to admit that you don’t know everything and that you need to educate yourself on the fundamentals of digital? Many dealers are afraid to admit that they don’t understand many key performance indicators (KPI’s) for digital performance and more important how to make actionable decisions based on KPI’s. Perhaps having the courage to display humility in starting at start with your understanding of KPI’s is the key to future growth for our industry. Well done Erich, and I appreciate your passion for making the industry better. 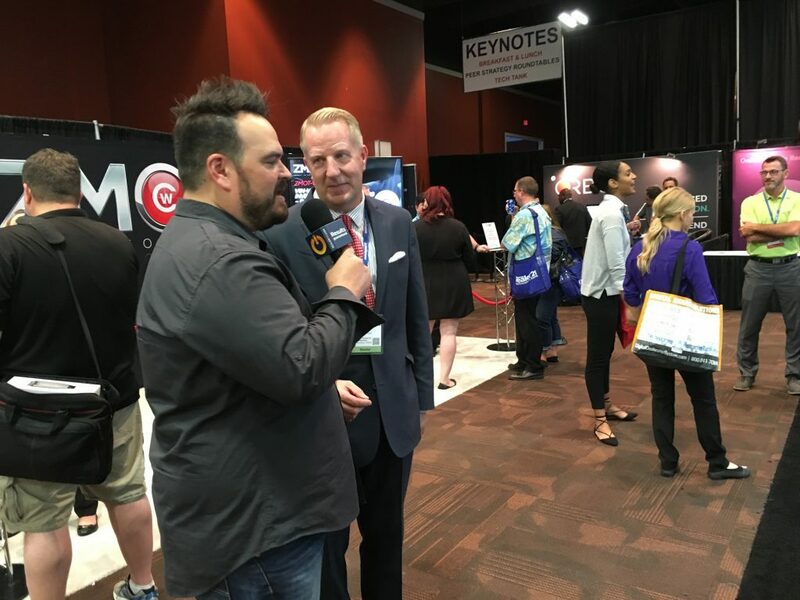 Shaun Raines and Greg Gifford with DealerOn were roaming exhibit hall with a camera and microphone to gather short clips of advice from auto pros on how to become better in the upcoming year. 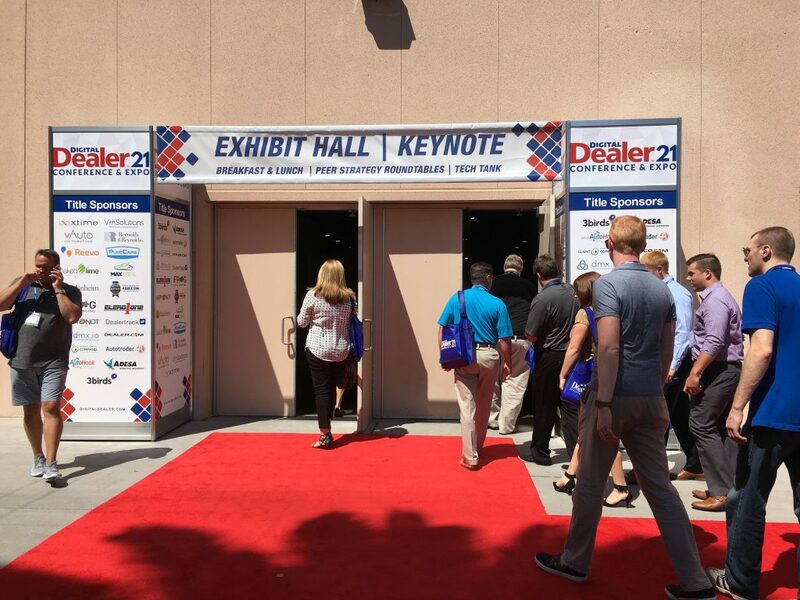 I am always impressed with the team at DealerOn with their efforts to give back to the automotive community, whether it is their webinar series hosted by Eliana Raggio, speaking sessions by Shaun and Greg, or these short videos. Thank you for contributing to the success of automotive digital DealerOn! It’s true. It’s in print right here – or maybe I was drinking shots while taking shots and writing this review just for you. Hippety hop, I think I was bustin’ a rhyme right there. 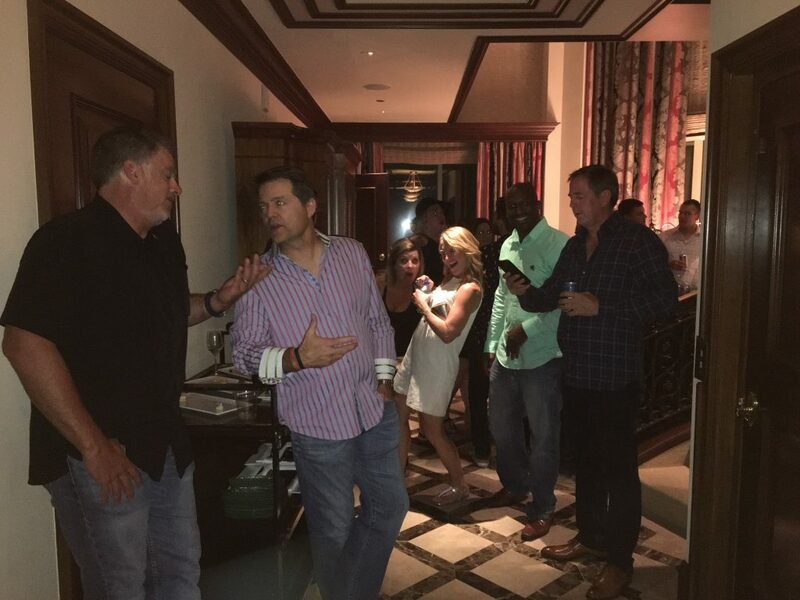 Time to wind down with friends and vendor partners over some drinks while building RELATIONSHIPS at Digital Dealer. And after a long day, I had built up an appetite. 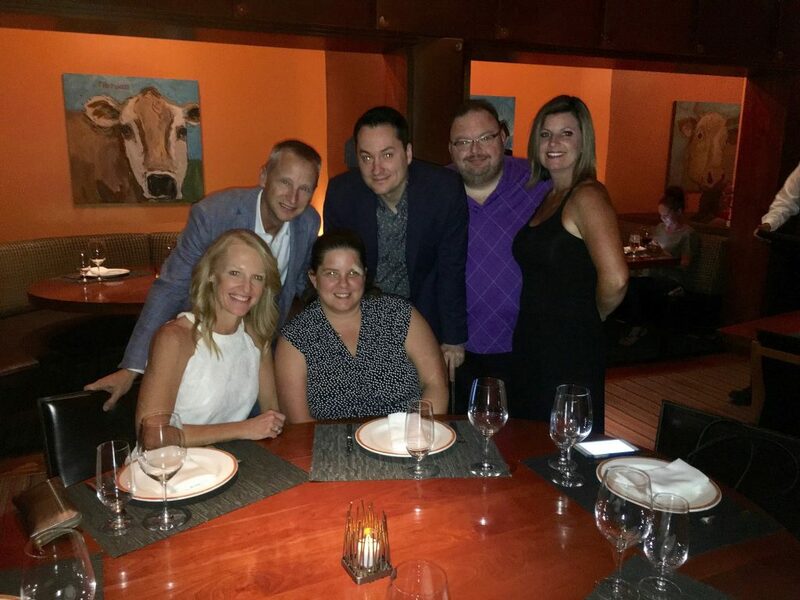 The Jeff Wyler Automotive Team gathered at the Tom Colicchio Craftsteak restaurant at the MGM Grand to enjoy an incredible dinner, first class service, and to build RELATIONSHIPS with each other. Dinner was delicious and worthy of the top 10 rating from USA Today for top steakhouses. 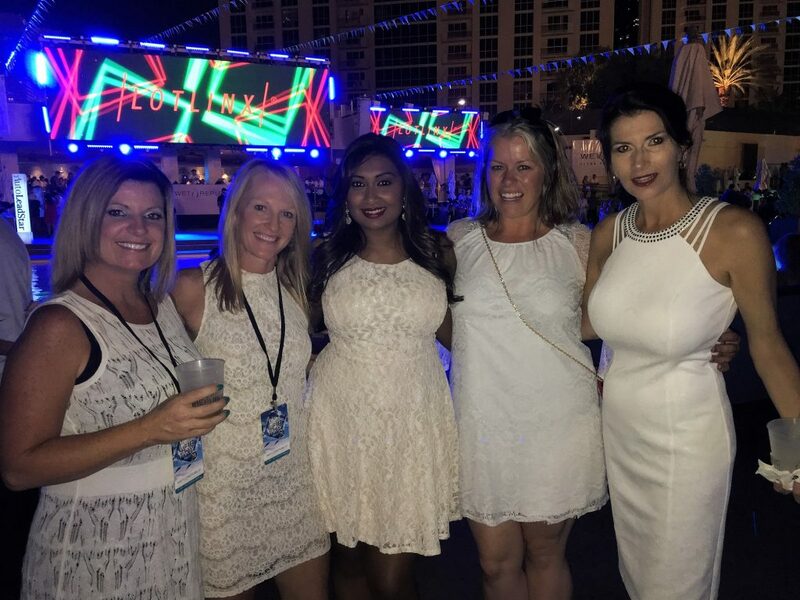 We followed up dinner with a great party at one of the SkyLofts hosted by Dealer eProcess and Phone Ninjas and then wrapped up the night at the MGM Lobby Bar. We caught a lot of the folks returning from Joe and Shaun’s Karaoke party and ended a typical day in Vegas – maximum fun and minimal sleep. 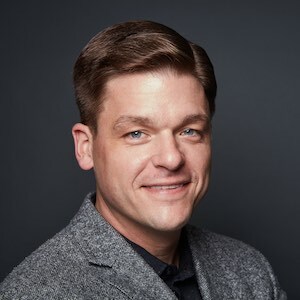 Time to get a cup of coffee (did I say “cup”, I meant “cups”), some breakfast, and start my day with “Content Creation in a Mobile World” with Robert Donovan (DOM360). There has been a lot of online speculation and debate about Google’s next algorithm adjustment, and indicators point to Google favoring websites that have a fast loading speed. 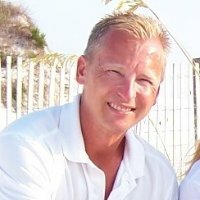 Robert shared a great link to test your site at with https://testmysite.thinkwithgoogle.com/ . How does your site perform? For the folks sitting around me, none of our automotive websites (different providers) scored well. Mark that down – what can I do to improve mobile website performance… Did you know that the average size of a fingertip on your mobile device is 57 pixels? Purple Rain or April Rain, which do you prefer? 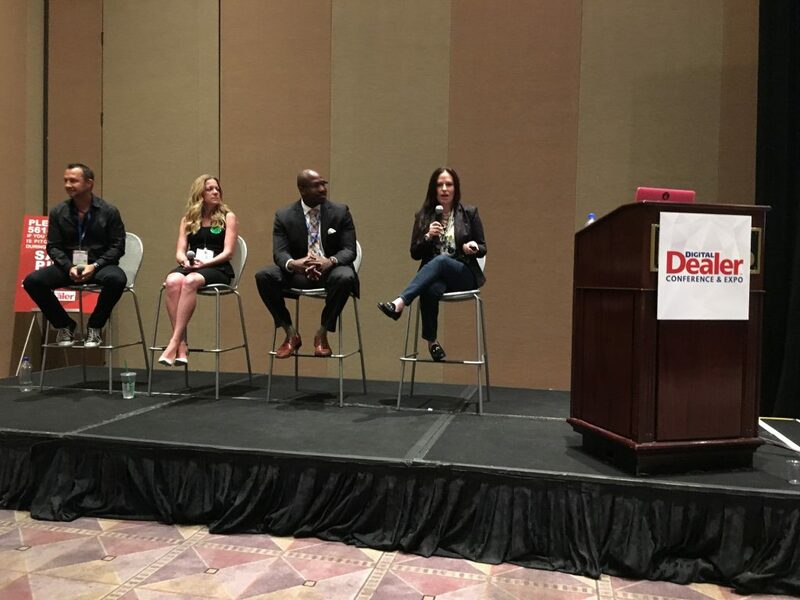 April Rain lead a panel discussion with “The Naked Truth – Digital Marketing Mysteries Exposed“, with my good friend Alex Jefferson, Scott Empringham with Flashpoint, and Kelly McNearney with Google. Gotta admit, I am usually not a big fan of panels at the conferences, but I really enjoyed this one. 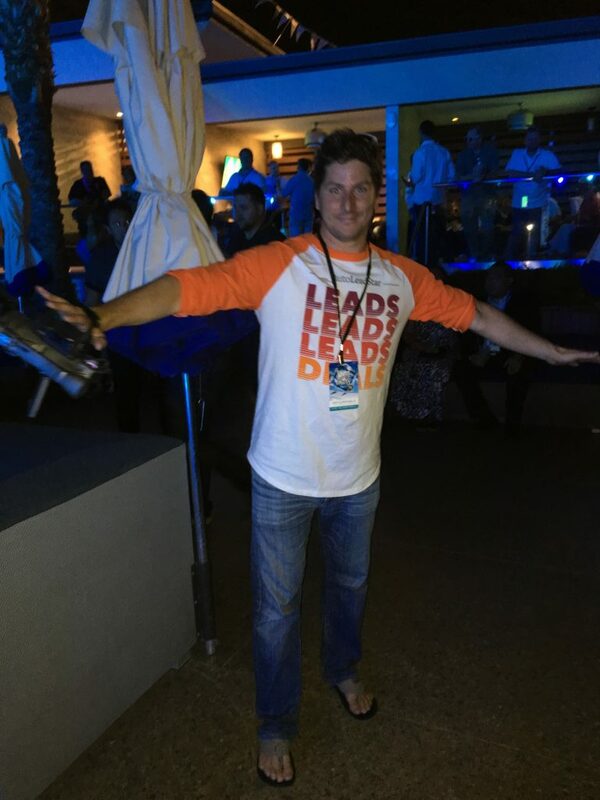 Alex shared some great tips on how he leverages Facebook to move aged inventory, as well as some honest insight that their dealerships saw a significant decline in leads when they tested an online transaction solution (heads up – we did as well). 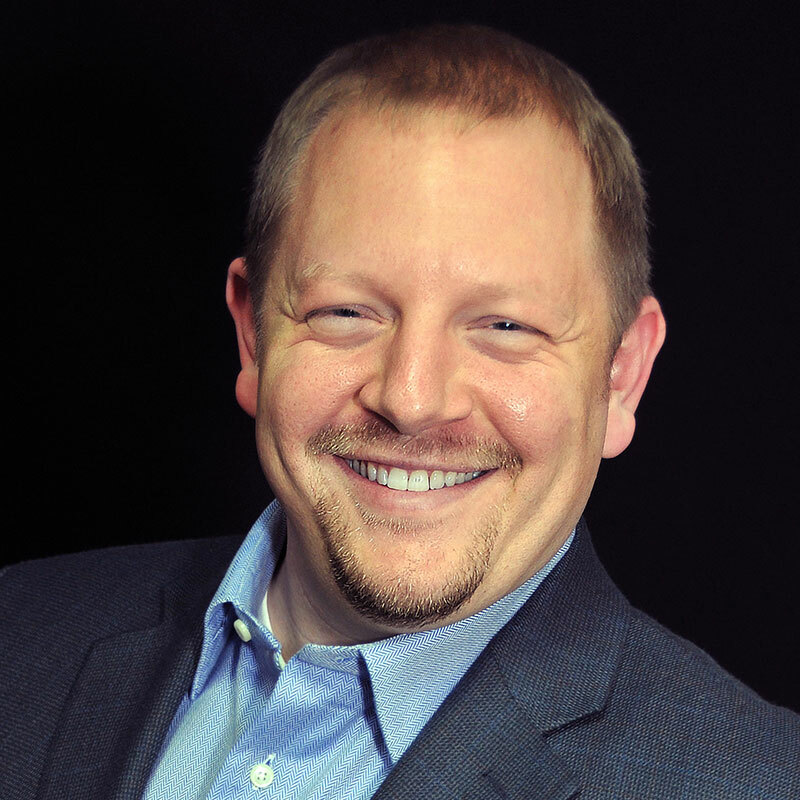 Wow, Scott Empringham is very well spoken and offered a lot of tips, to include creating a custom audience within Facebook for each of your dealerships that you can utilize for customer retention marketing. 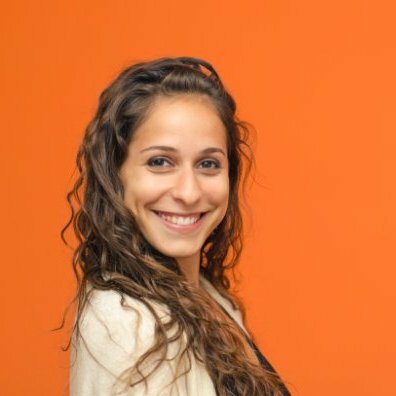 Kelly kept me laughing while sharing some great Google tips, though I strongly disagreed with her assertion that cost per click for dealerships has not risen since Google’s decision to remove all right rail ads and go with the 4 positions at the top. Alex Jefferson – it’s time for you to speak again friend – the dealers in the room were hanging on your every word. Drumroll, and the winner is…. 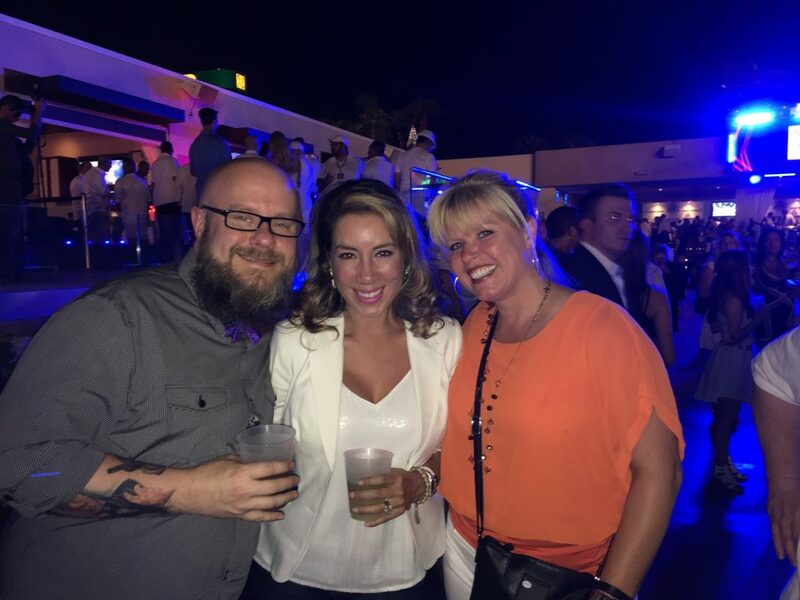 Yes, I am biased towards fellow dealers speaking as they are on the front lines each day, and Mike and Amy bring a lot of street credibility to the table. Mike was at the door greeting attendees as they came in while Amy was engaging folks up front before we even started. They then walked through step by step how they use Facebook to not only sell cars, but to sell LOTS of cars. They are building RELATIONSHIPS with social media and they have the courage and drive to test and see what works best. Do you want to know how? Follow them on Facebook and Twitter. Mike and Amy – both of you have my highest respect and admiration because you are getting it done and done exceptionally well in today’s demanding market, and you are doing it by building relationships. Time for a quick bite and then lots of demos in the exhibit hall. 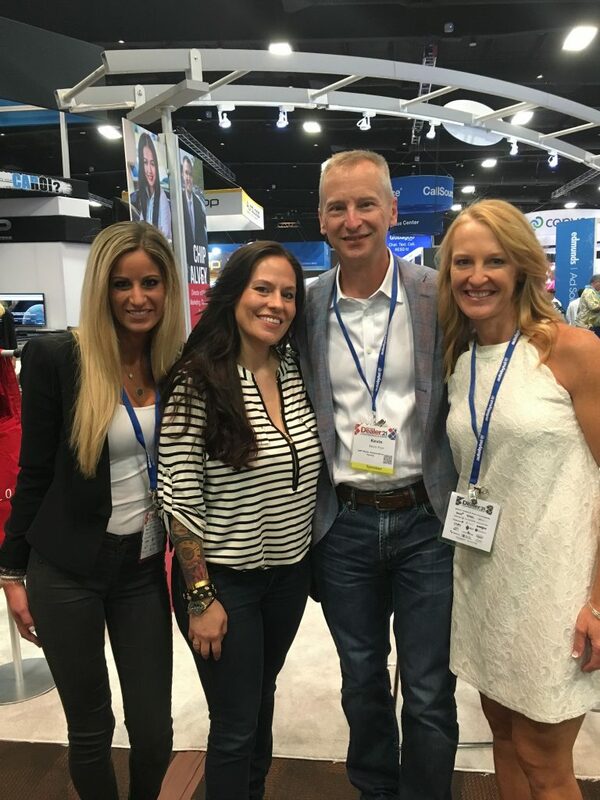 I could hear Grant Cardone motivating the audience as I learned more about the latest and greatest at the booths outside the door. Heads up on a couple solutions that caught my attention. With the prevalence of bot traffic with digital marketing today, wouldn’t you have greater piece of mind knowing that you are getting some real shoppers with your digital spend? 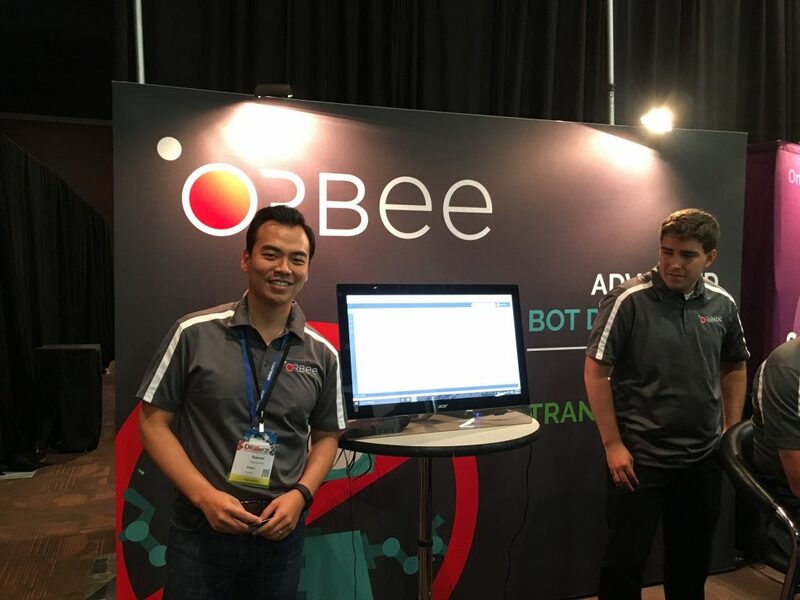 Daniel Kim with Orbee showed me how their solution can give you the peace and answers you are looking for. 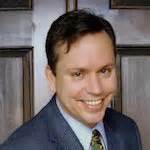 David Solar impressed me with Catalogs.com and how you can take a mobile ad and put it on steroids when you point to one of the mobile friendly catalogs you can create with their tool. FlickFusion also had a new virtual reality tool that caught my attention. 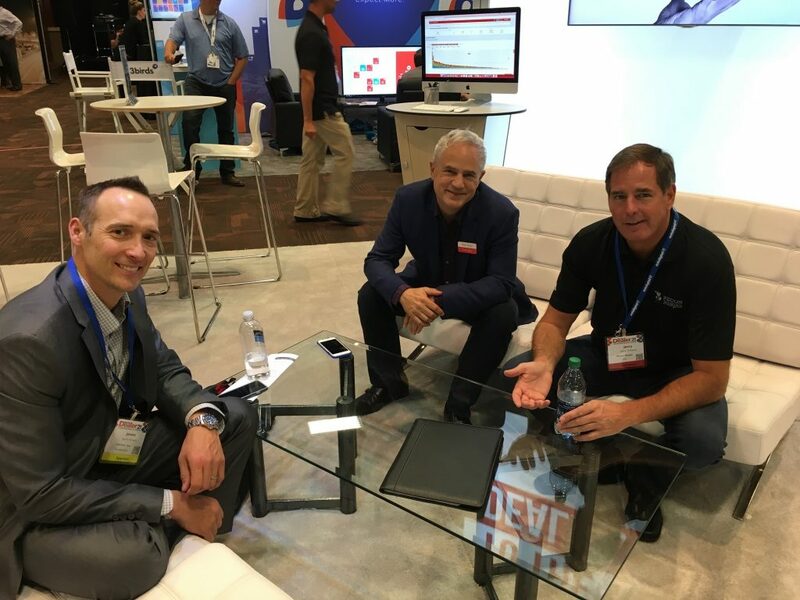 I sat down for fifteen minutes with Mark Boyd and Jason Knight with LotLinx, and we were joined by Jerry Thibeau with Phone Ninjas, and I think we all laughed for most of that time. Great networking is a combination of asking questions, sharing ideas, and having fun while building relationships with your peers. Best discussion I had at DD21 and it was only a short visit. Cheers to each of you – I have a lot of respect for what they do, and more important they excel at being PARTNERS, not vendors. If you don’t know the difference, partners care about helping you to achieve your goals, while vendors do minimal effort for maximum money. Enough! 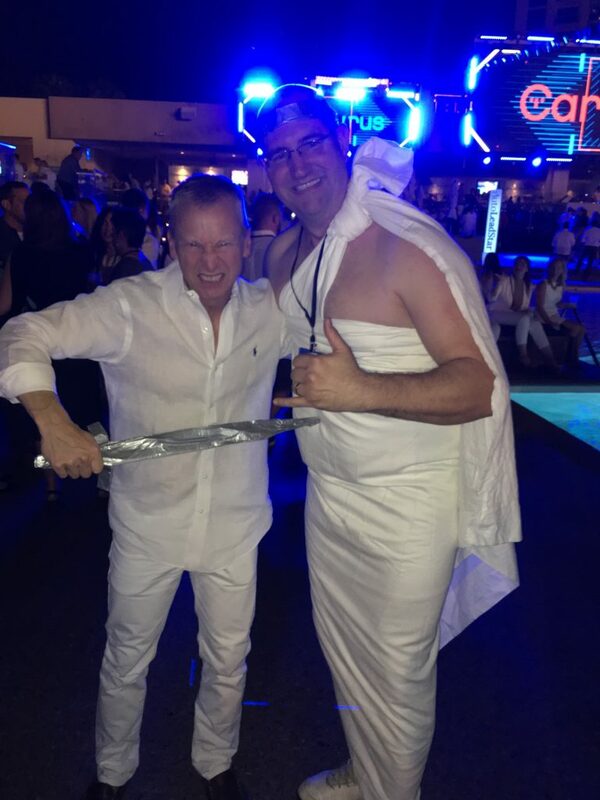 I draw the line with Lionel Richie analogies, though I think I could have sculpted a torso of Brian Pasch better than the one in that horrendous music video. Brian packed the house as he shared some of the results from his just released SEM study available here. 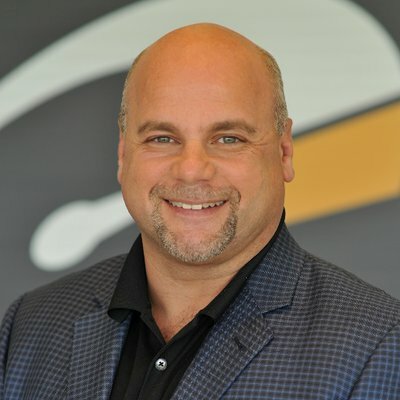 There is not enough space here for all of his tips, but I loved his idea of using your DealerRater ratings for remarketing ad campaigns. Doesn’t that make great sense when you are trying to convince a shopper (who is likely on your competitor’s website) to come back and choose you as the consumer’s choice for best dealer? There were other areas that I strongly disagreed with – eg. a third party vehicle detail page (VDP) is more valuable than your own website VDP. Am I to believe that a VDP that has competitor’s ads on it and is only a step away from inventory from multiple other dealers is better than my own website? That a site that takes 8-16 times more VDP’s to convert to a sale than my own site is more valuable? I think a lot of dealers walked away with the recommendation that you are a fool if you do not use third party sites in your digital marketing mix. Listen, I will never argue that sites like Cars.com and AutoTrader don’t have a lot of great brand power and strong traffic, BUT can you earn a great return for your marketing dollar with the high cost of these sites? Have you ever searched for your inventory on these sites and realized how many competitor’s ads and cars that your shopper has to get past before they even find your car, which can be more difficult than finding a needle in a Haystak unless you pay a fortune for Premium Deluxe Preferred Diamond Club placement? As dealers, are we in business to help third parties make as much money as possible while we struggle to break even with our investments? I am always working to best identify what works best for our digital marketing investment and common sense and data has shown me that this is not the case. I know that Chip Perry with TrueCar walked out of Brian’s session with a big smile, but I could not do the same. Brian and I spoke afterwards, and I look forward to working with my longtime friend to look at this more closely, and I know that we will both challenge each other with our efforts. Peer Roundtables were good, though they did not seem to be as well attended as earlier sessions. Famous Rhodes and Abram Sirignano gave a solid keynote on “Car Shopping: The Final Frontier for eCommerce“. Remember this sage advice, with so many new digital tools available today, don’t abandon what is working for you now for some shiny new object. Famous shared this tidbit that caught my attention – one out of 6 car shoppers would consider buying a car without a test drive. Perhaps that is an indicator of the future use of virtual reality for these folks. And per online car buying, yes, it has my attention – but per my earlier rant, we need to find a solution where we can continue to build value through relationships. 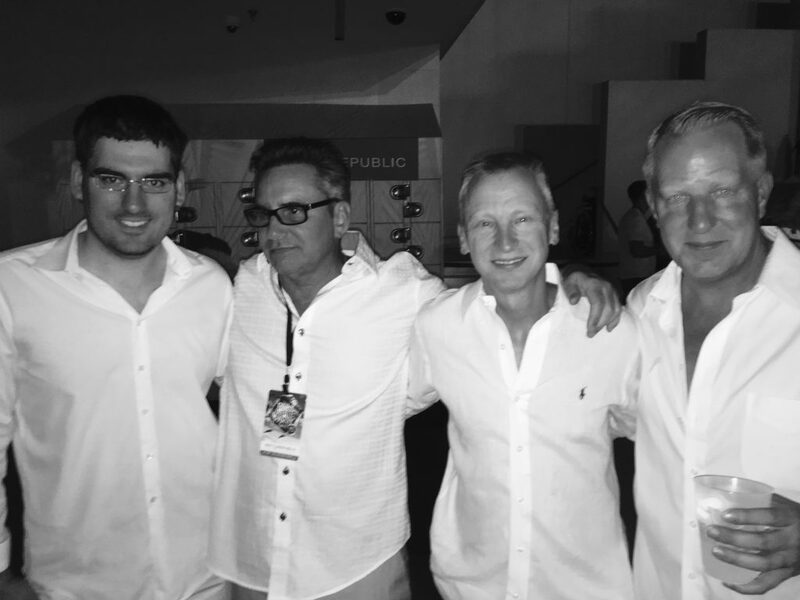 Loved the White Party on Tuesday night, and spending time with many great friends in the industry. I understand that vendors need to pay to attend this. IMHO – let them in at no cost please. 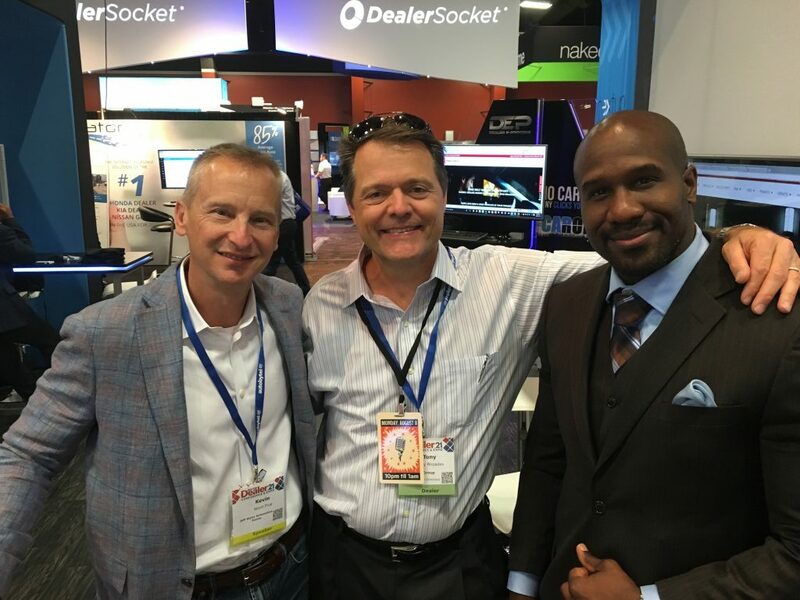 These are some of the same folks that we are trying to build relationships with at Digital Dealer. I am tired of ANY of the automotive conferences that tend to push vendors to the side, and I think the whole “no pitching” idea is overblown. Call me what you like, but if a speaker/vendor spends 40 minutes giving me valuable information to learn from at a conference, I am perfectly fine with them taking a few minutes at the end to pitch their product/service. The reality is that most of our vendor partners bear the great expense for these shows and I am appreciative of that. And very tired. Started the morning with a Keynote Panel with Kathi Kruse, Joni Stuker, and Brian Pasch (damn, that makes 3 times…) and moderated by David Villa. This was a neat session where the folks in the audience could submit questions via their smartphones to the experts on the panel on various issues. 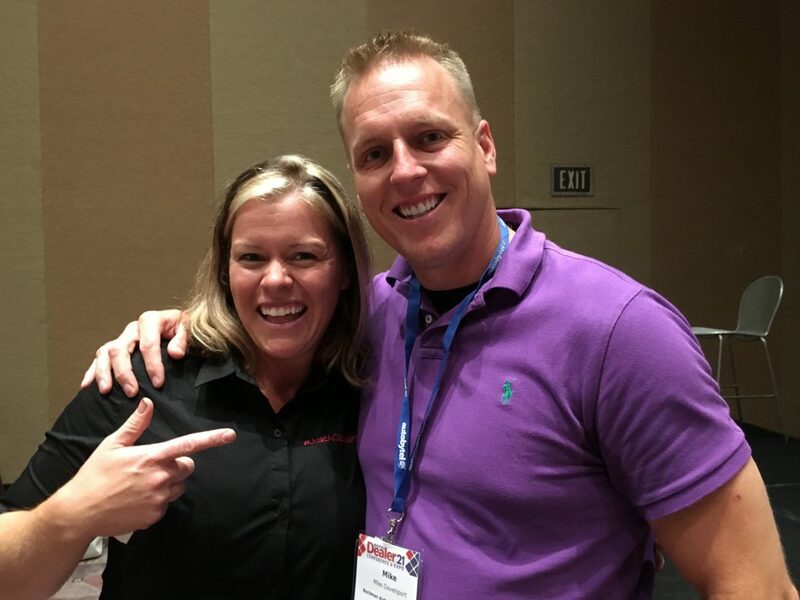 I loved how Joni shared that we should teach our new sales reps how to sell backwards – I agree! Teach them the prospecting and follow up skills you need to be successful before you teach them how to directly sell the car. Brian emphasized that he does not like the traditional open floor concept and that we need to transition as an industry to a better solution (did someone say Next Up?). Kathi shared the importance of how one should ensure their Facebook efforts enhance your brand, and not be sloppy/funny, and she also shared the importance of personal relationships in today’s digital market (YES!). With the ugly election process going on now, knowing that what you don’t post on Facebook can be more important than what you do post is imperative. 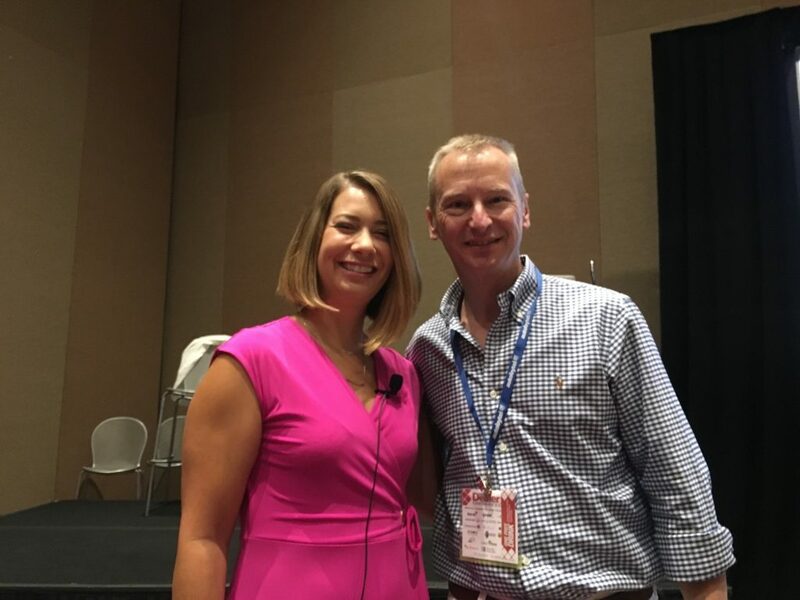 Candice is a strong voice in the market for improving how we setup our dealership personnel to succeed, and she shared how a small team’s concept worked for one of her dealerships. How big a team? If you cannot feed the team with 2 pizzas, it is too big. Small teams can enable better communication and performance by not allowing anyone to hide behind a large group, while speeding up the timeframe of getting things done. I want to state here that while I don’t agree with all of Candice’s strategies, I have strong admiration and respect for her passion to make our industry better. She has written several articles here on DealerRefresh, and while there have been some big disagreements, she is courageous with her stance. Well done Candice, keep it up, we need agents of positive change like you. I have often encouraged you to look outside of the automotive industry for great insight. Let me share this simple tip (which is a requirement for all Jeff Wyler employees attending a show in Las Vegas). Next time you go to Vegas, set aside time and set-up a tour at Zappos. Cost is $10 and they will pick you up at your hotel and take you back, and during your 90 minute tour you will learn how they create a “wow” experience for their customers with their exceptional service. And btw – they not only get people to be good on the phone, they make them exceptional on the phone with training and LEADERSHIP. I have to share that one of our team members showed up early for the tour. And they asked if they could shine his shoes while he waited. Now that’s service. Wow, I think I am wore out writing this review on this rainy Saturday afternoon as I was tired after Vegas. 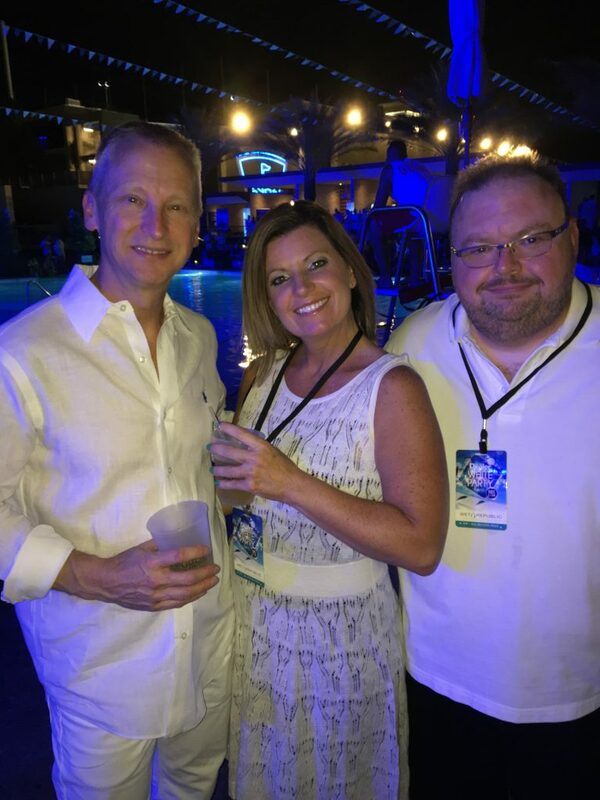 As I look back at this conference, and at our industry at this time, my passion is to lead dealers and our vendor partners in a common effort to provide the best experience for our shoppers – and that is based on personal relationships. Relationships must work, maybe that is the secret to Julie and I celebrating 25 years of marriage this year. My challenge to you is to rekindle your passion to be an agent of positive change where you work each day. Lift up those around you who are making our industry better. 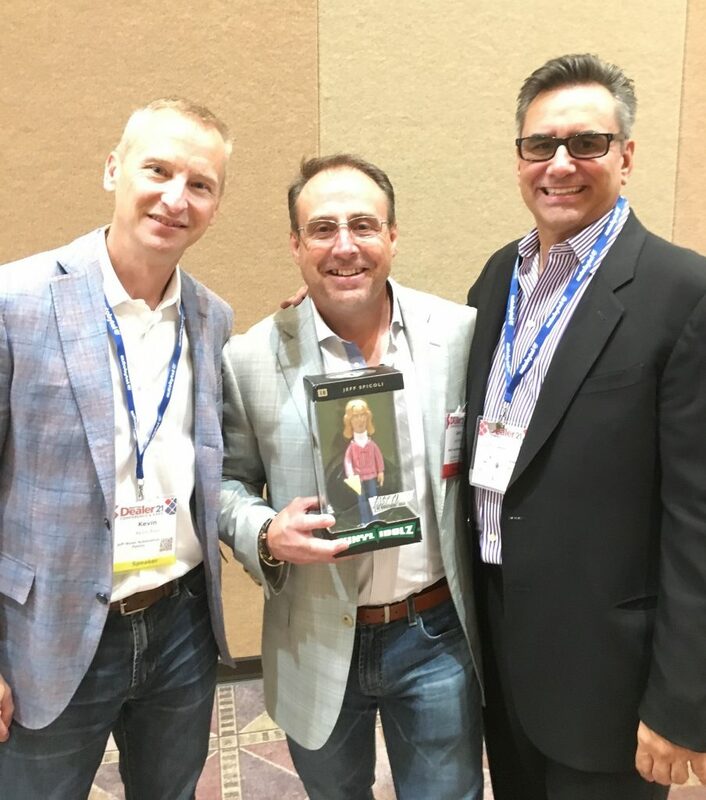 Matt Raymond, Brad Paschal, Mike Correra, Rebecca Black, Christy Roman, Ian Cruickshank, Gina Reuscher, Glenn Pasch, John Luciano, Glen Garvin – I just wish I had enough time to spend with all of you during this great conference. Cheers to all of my friends, and much love from Julie and myself.